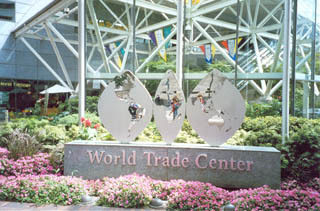 LOCATION: World Trade Center, Outdoor Plaza, 121 SW Salmon St. Admission to PICMET’s evening social events(the Sunday evening icebreaker, the Monday evening reception, and the Tuesday awards banquet). Daily continental breakfast from 7:30 am to 9:30 am on Monday through Thursday (August 3—6) in Alexander’s Lounge on the 23rd floor of the Hilton, where the view of Portland is spectacular. Three daily excursions (Monday, August 3 – Wednesday, August 5) described below. Sissy Lawty, Convention Services Manager from the Travel Portland (formerly Portland Oregon Visitors Association), will give a short talk about Portland, highlighting local events and attractions. Wear your comfortable shoes for this award-winning walk, which clarifies why Portland is regularly recognized as one of the best places to live. You will hear about early and modern Portland as your guide shows you an enlightened city rich with artwork, parks, bridges, downtown trains, fountains, and 30+ brewpubs. Even locals are amazed and entertained by what they learn. The tour is under 2 ½ hours and is less that 1 ½ miles (no hills, no steps). Livability and sustainability: What this truly means to someone who lives or visits here. Urban planning and design: Why we have a unique downtown that feels like a European city. Alternative forms of transportation: How the city got built around people and not the automobile. Public art and the “Percent for Art” program: Did you know that buildings have to set aside 2% of their budget for public art? Portland's urban green spaces, parks, and gardens: If it rains, it must be green. Early Portland - We won't bore you with a history lesson! Shopping in Oregon is tax free, and this excursion will take you to two of Oregon’s best shopping centers. The first stop will be south of Portland at Bridgeport Village, where you will have lunch at one of the many fine restaurants located in the Village. After lunch you will have some time to shop. Considered a “lifestyle shopping center,” Bridgeport Village offers an exclusive mix of local, regional and national shops unlike any other shopping experience in Oregon. The next stop will be Woodburn Company Stores. With 100 stores, it is the largest tax-free outlet center in the West and the most visited place in Oregon. Big-name brands, skylight-covered walkways, and beautiful Northwest architecture and landscaping make this a unique and fun shopping experience year round. A trip to Portland, the “City of Roses,” would not be complete without a visit to Washington Park in Portland’s West Hills (http://www.washingtonparkpdx.org/). Guests will board MAX (Portland’s light rail) for a short ride to one of the most visited and cherished locations in the city. Hoyt Arboretum is a 187-acre living museum of trees and plants from all over the world. You will be accompanied by botanist Bill Becker, who will give you a brief tour of the arboretum. Tree collections are organized by taxonomy (plant families) and geography. Identification labels help you to learn about trees that catch your interest. Hoyt Arboretum is a living laboratory where scientists and students can study trees and plants that would not otherwise grow in our climate and habitat. The Hoyt Collection includes more than 1,000 true species, with specimens grown from seeds collected in the wild. These plants produce seeds that can be used to replant native ecosystems that have been destroyed or are at risk. 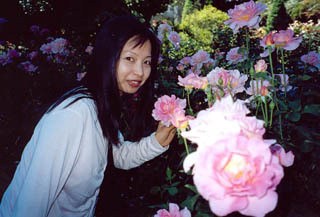 The International Rose Test Garden is the oldest official, continuously operated public rose test garden in the United States. Although July is not the peak time for roses, there will be some varieties in bloom and the grounds (just over 5 acres) are beautifully landscaped. The incredible view of Portland from the park makes this trip worth doing. 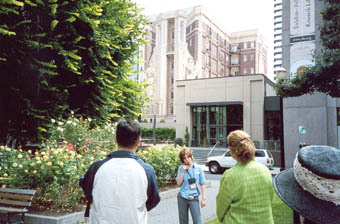 Featuring over 6,800 rose bushes representing 557 varieties, the International Rose Test Garden received The Garden of Excellence Award from the World Federation of Rose Societies in 2006. After the tours, the group will board the light rail and head back into downtown Portland for lunch at the Red Star Tavern and Roast House. Considered one of the best restaurants in downtown Portland, it celebrates the diverse flavors and substantial traditions of American regional cuisine.